Given the war for teacher talent in NC and evidence presented in an EPIC research brief, we encourage school districts and principals to double-down on student teaching as a recruiting and selection tool, not just as a perfunctory placement. Your student teachers could be your prime talent pipeline. In fact, the EPIC study showed that nearly 50 percent of student teachers in the largest UNC System colleges of education were hired by their student teaching district. This is a good trend for students: these teacher candidates are better prepared to succeed in these districts and schools. While student teachers are in your school building, why not consider it an extended job interview? Your candidates can be observed and coached throughout their time at your school, before they are on your payroll or as a teacher of record, increasing the chances that they are “student ready” come fall. Formal observations of student teachers are a valuable use of school administrators’ limited available time. All NC districts hire candidates outside the teaching profession, currently called “lateral entry,” soon transitioning to a residency license. Some districts have started creating their own residency programs to train lateral candidates. If districts are willing to put significant resources into lateral entry training, why not also consider strategically investing in coaching and recruiting student teachers? 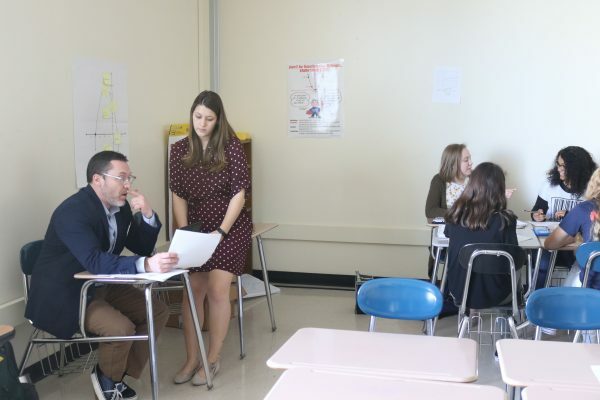 Many of these candidates will be hired within the district and research shows that these traditionally prepared teachers persist longer in the classroom compared to lateral entry teachers. Calls for better partnerships between educator preparation programs and hiring districts are a national trend. Fulton County Schools has created an innovative partnership with a select group of five colleges of education in Georgia. Student teachers have a year-long clinical experience under the supervision of trained mentor teachers. To attract the best talent early in their careers, Fulton pays student teachers a $3,000 stipend and will offer an early contract. This 2018-19 school year, Fulton has 48 student teachers in their reimagined student teaching program called GO First Step.